One of the most astonishing feature of Android Operating System is; it allows you to do basically anything with your phone. In the due course of this article we will be checking out on how to root LG Optimus VU P895 smartphone which is one of the recently developed smartphone. If you are a new android user and don’t know what is mean by rooting? Then know about that from here. Rooting allows other files or datas from third party to access the system files. This will provide the function to do customization of user interface, some apps which also comes in Custom ROM. Before start to root your LG Optimus VU P895 smartphone, be aware that once you have rooted your the warranty of your device may get void, but don’t worry you can reclaim the same by installing the stock ROM released by LG especially for this model. DISCLAIMER : Follow the given below steps at your own risk. We and even the developer will not be held responsible for damages takes place to your device while following these steps. We strongly advice you to take backup of all your datas which was present in your phone. Eventhough it is not a compulsion, it is always better to be on a safer side. You should left the battery level of atleast 60% or else there is a risk of your device getting turned off in the middle of rooting process. Disable all the antivirus tools in your device to avoid its interruption. So, once you have finished over all the above mentioned instructions head over to the next step where we have summed up a detailed tutorial on how to root your LG Optimus VU P895 smartphone. To get started, you have to download Superoneclick Package from here to your computer. Once it has been downloaded, then save the file in your computer. Now, extract the root package on your computer and place the new folder on the Desktop. After that connect your phone to the computer with the help of USB cable. Now, open the extracted folder and from there run the “root” executable file. Wait for some time until the process has been completed.Finally, remove the USB cable and disconnect your phone from the computer. If you want to check whether your device is rooted or not, then download and install the Root Checker app from Google Play Store. Or check your mobile’s app list. Super User app has been installed on your phone. If the Super User app is not there in your phone your mobile does not rooted successfully. 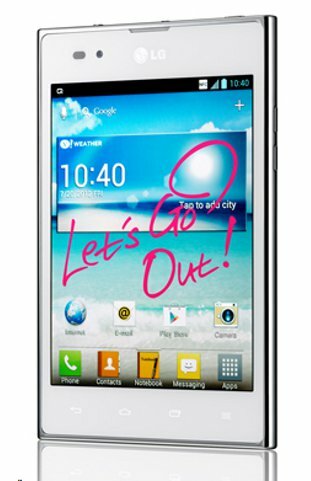 Congrats you have now successfully rooted your LG Optimus Vu P895 smartphone.